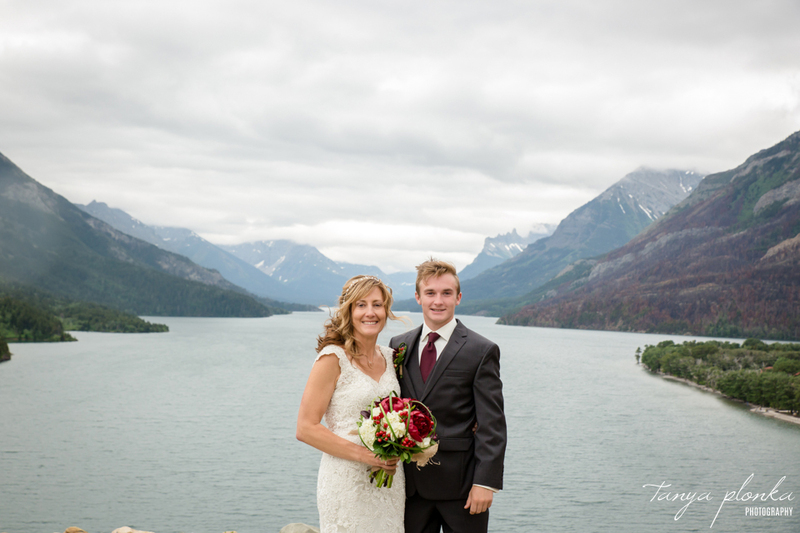 It’s amazing to live so close to such a beautiful national park. 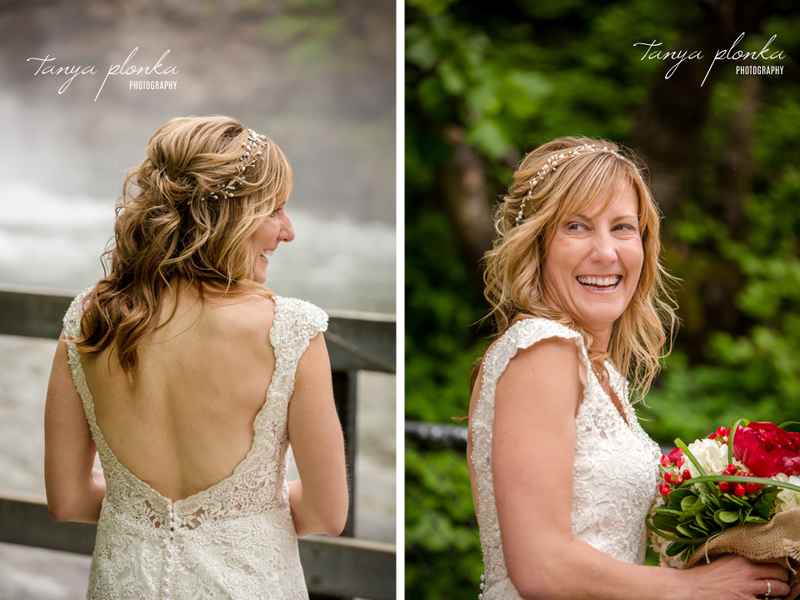 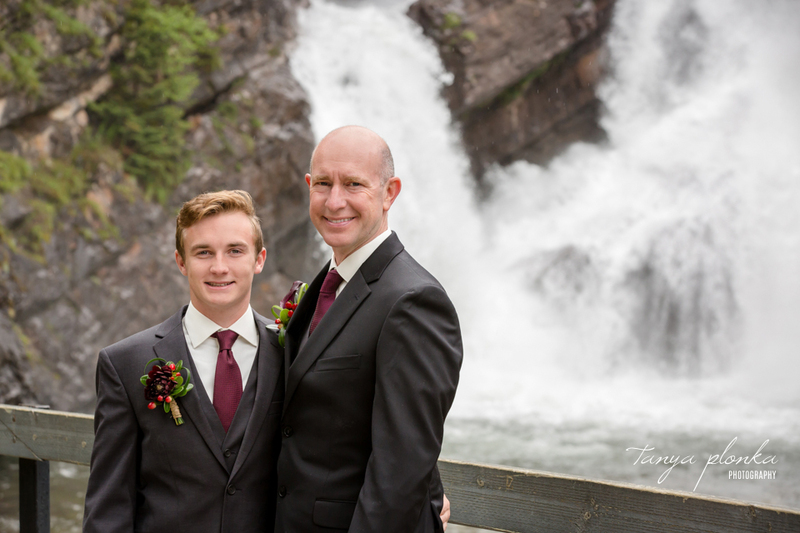 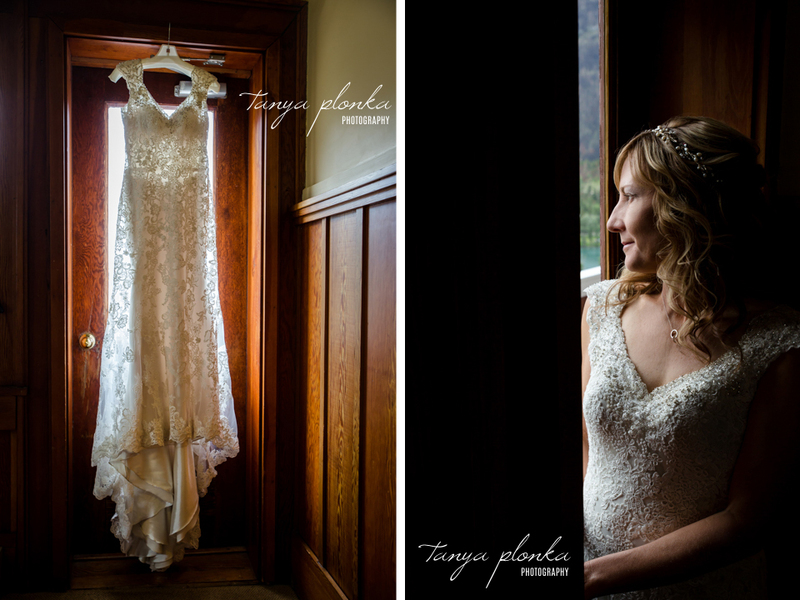 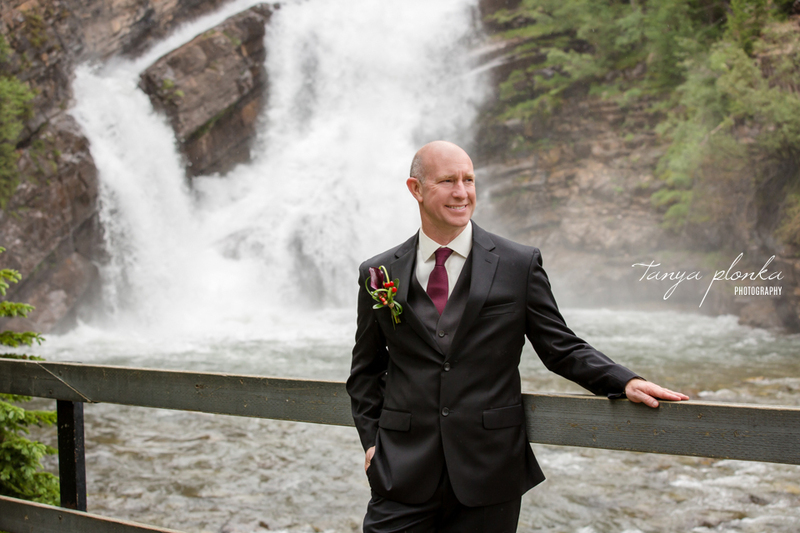 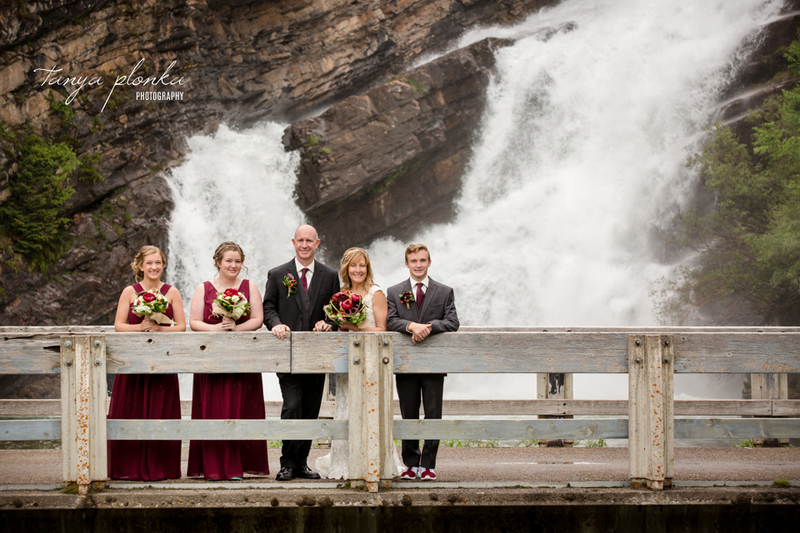 While most of my wedding clients who get married in Waterton live nearby or at least within Alberta, we have a few each year who make a long journey to take in the beauty of the mountains. 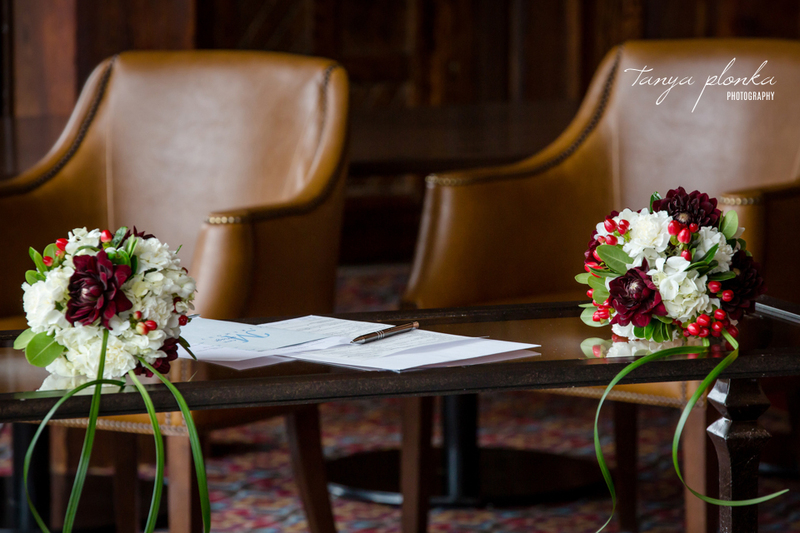 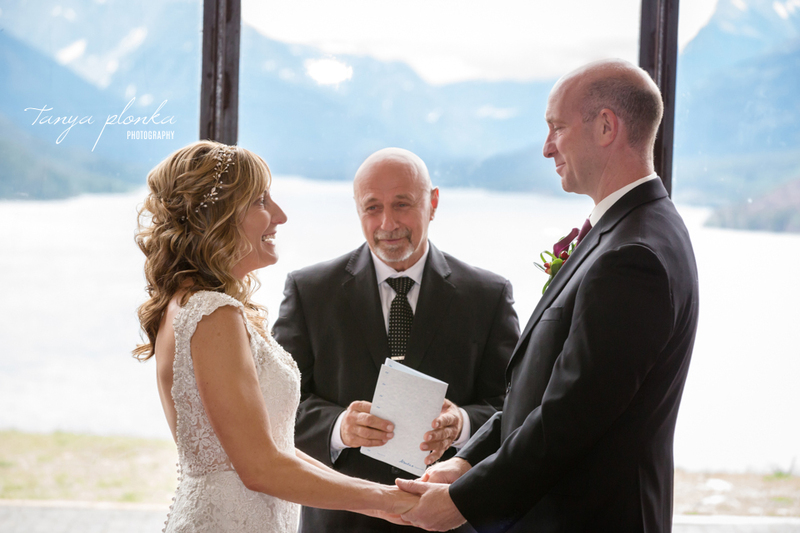 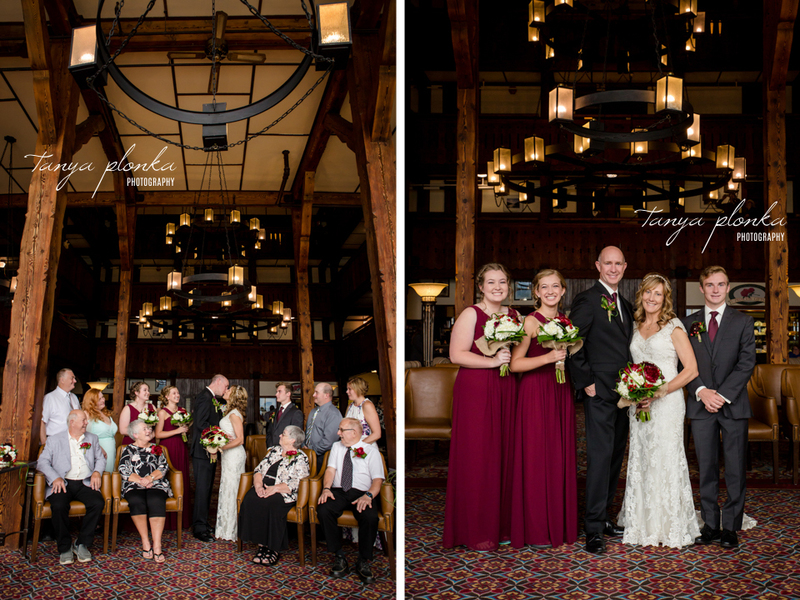 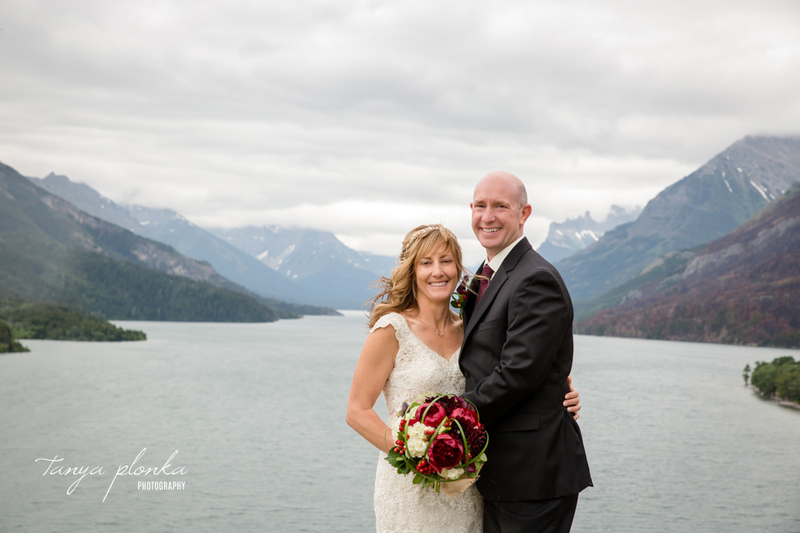 Jennifer and Scott travelled all the way from the United States to have their wedding here! 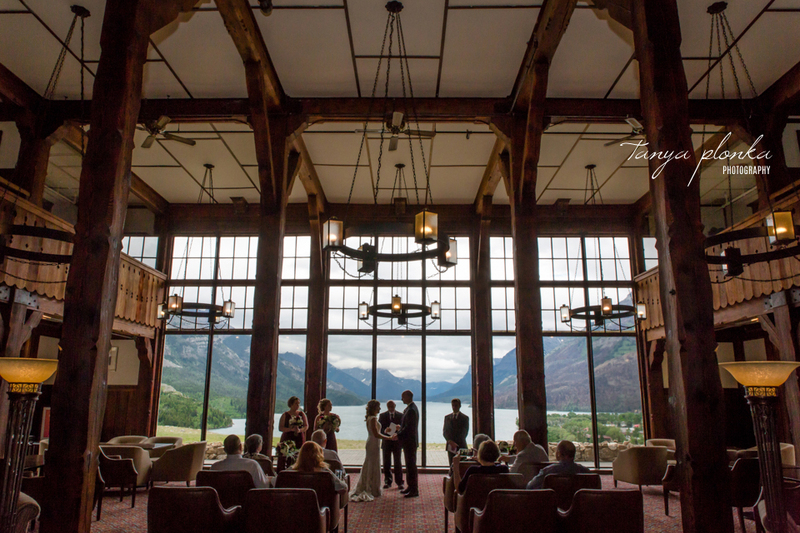 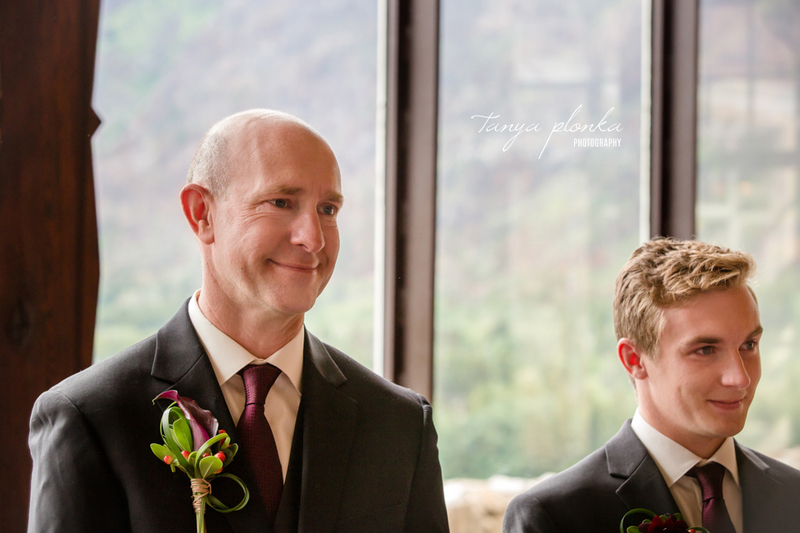 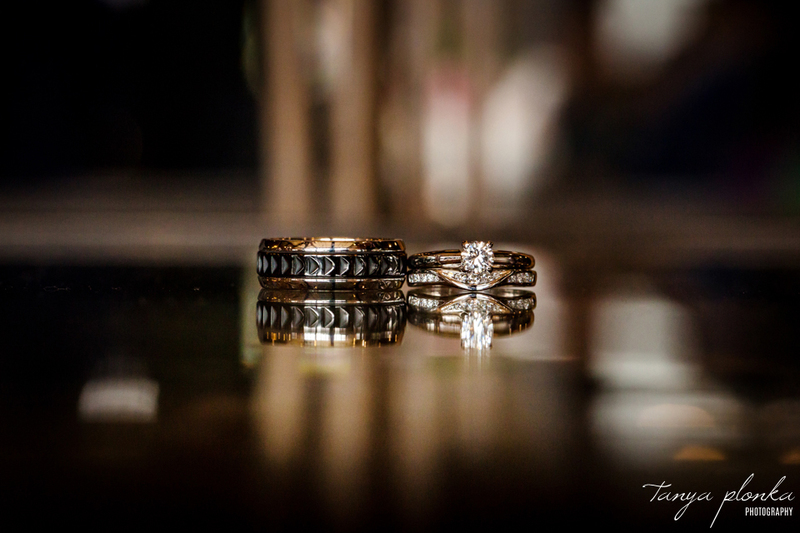 With the threat of rain storms looming overhead, they decided on an indoor Prince of Wales wedding ceremony rather than use the bluff overlooking the lakes. 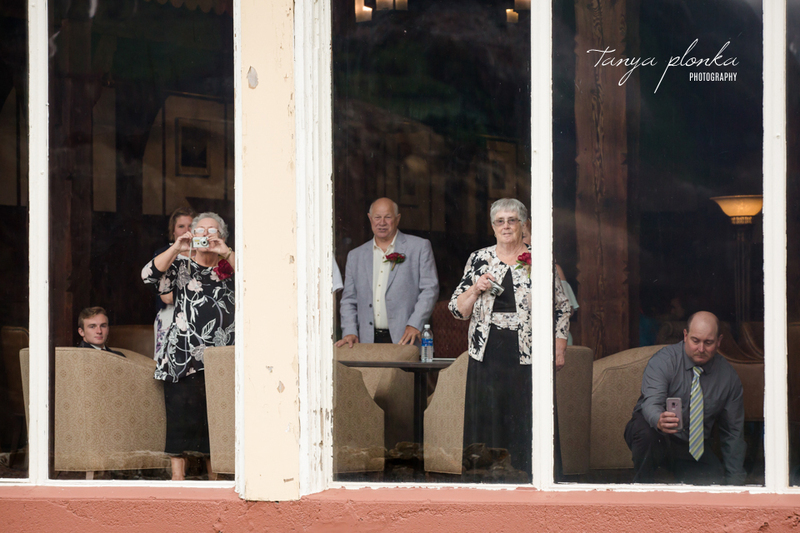 Their ceremony took place in the morning so there were very few tourists in the hotel spying on the event! 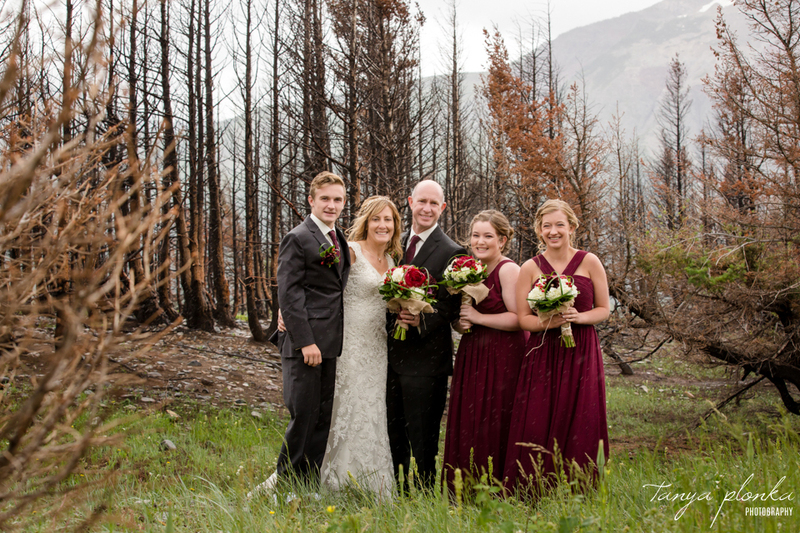 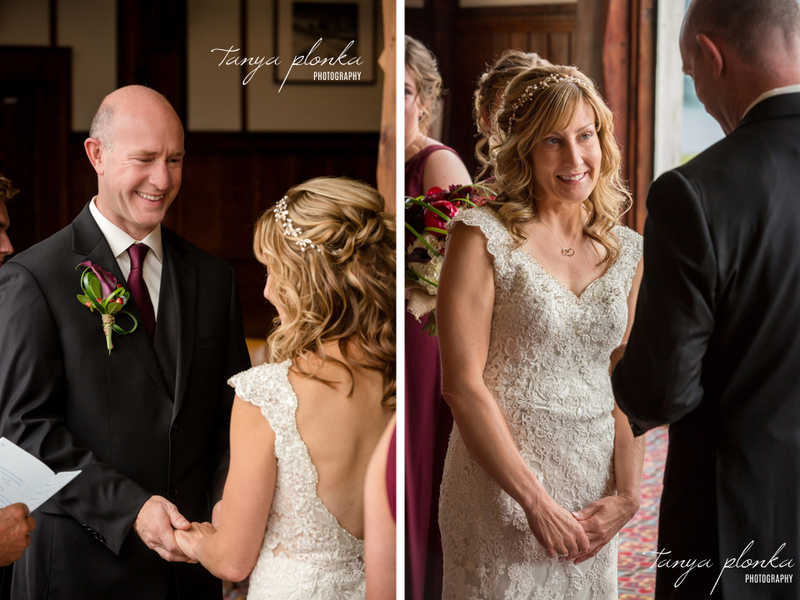 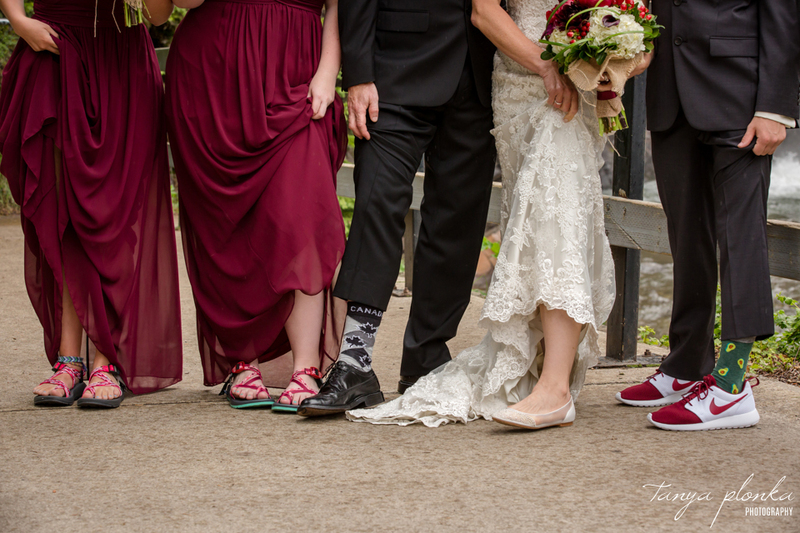 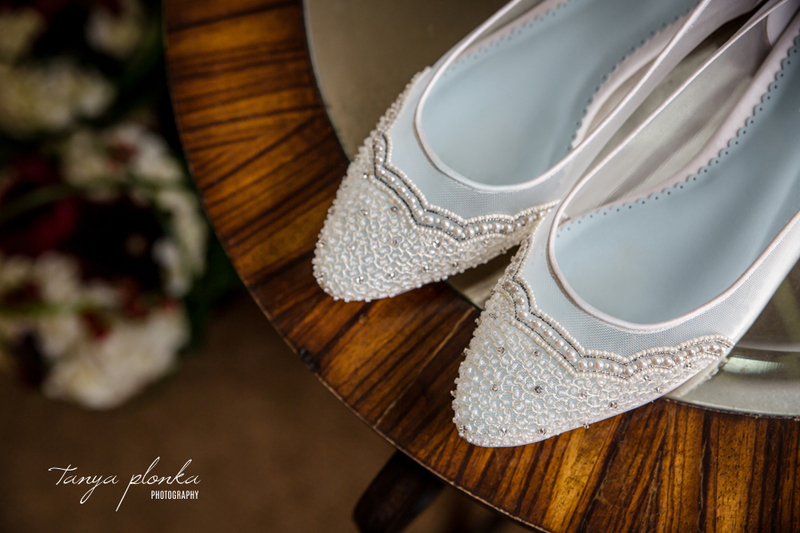 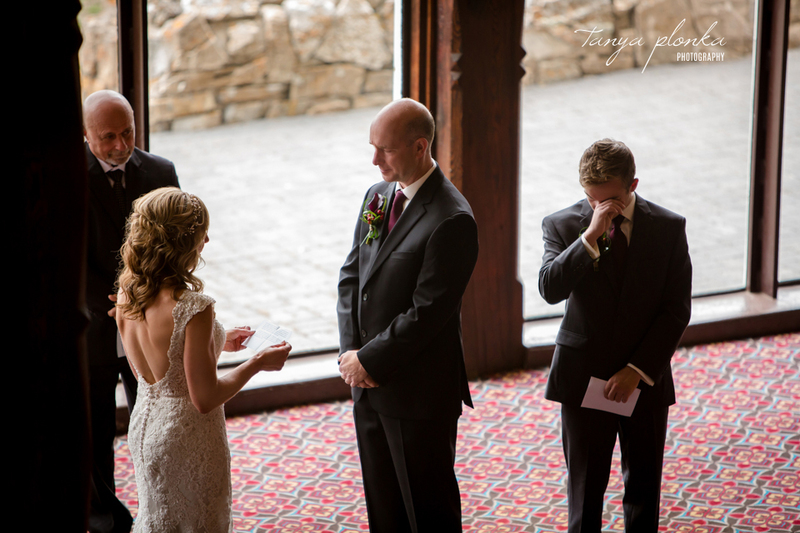 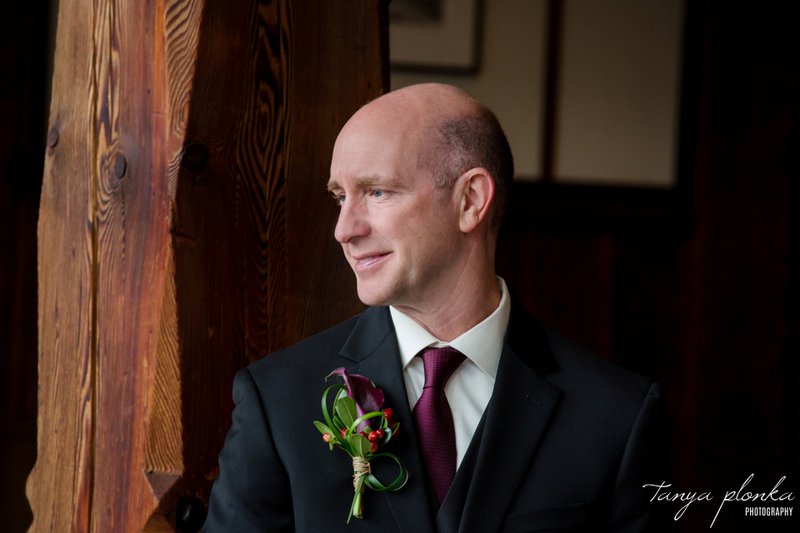 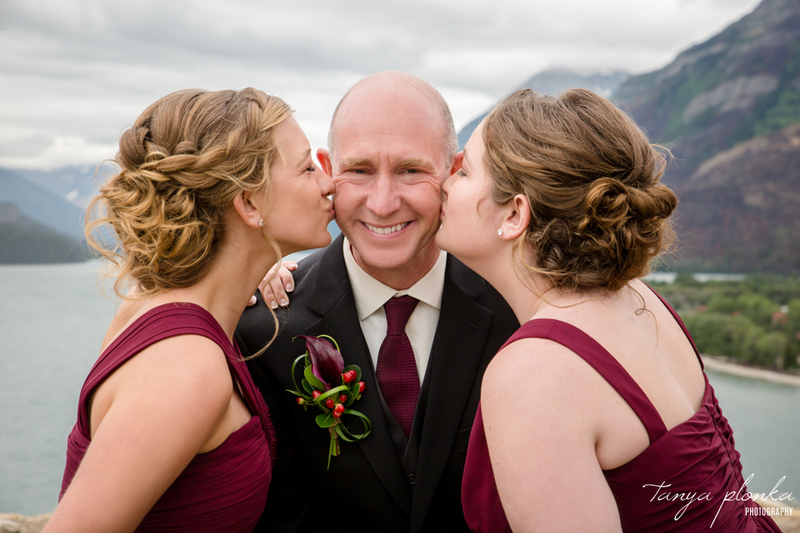 Jennifer and Scott had their children stand up with them as their wedding party and only travelled with immediate family, making their beautiful wedding that much more intimate. 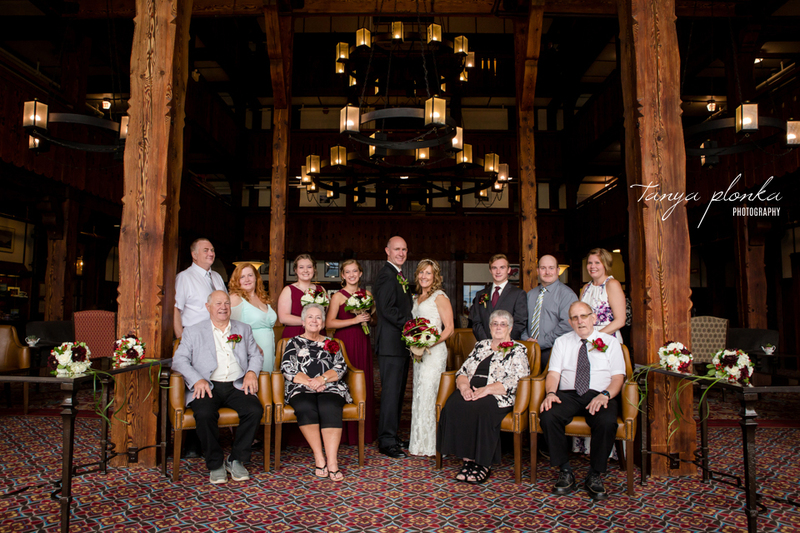 We had to hold off on family photos because what started as one person in happy tears quickly spread to half of their guests! 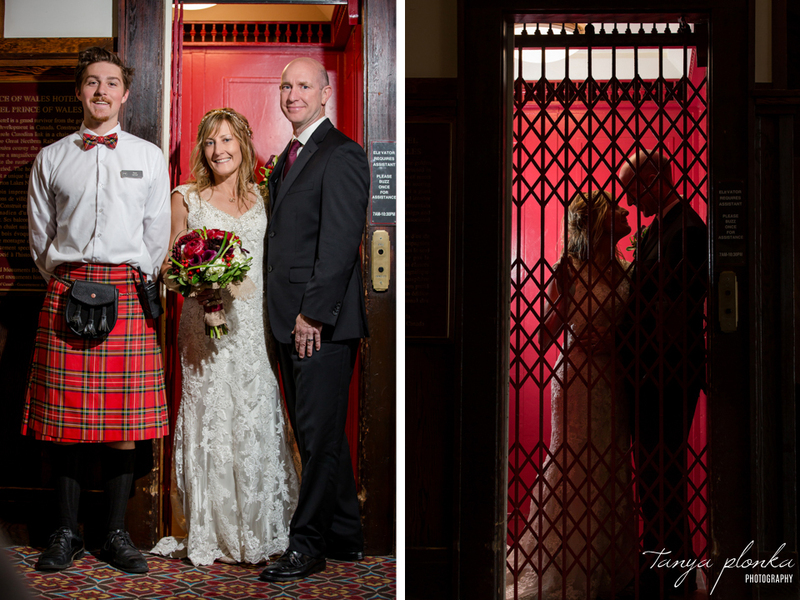 We were excited to discover how easy going Scott and Jennifer were. 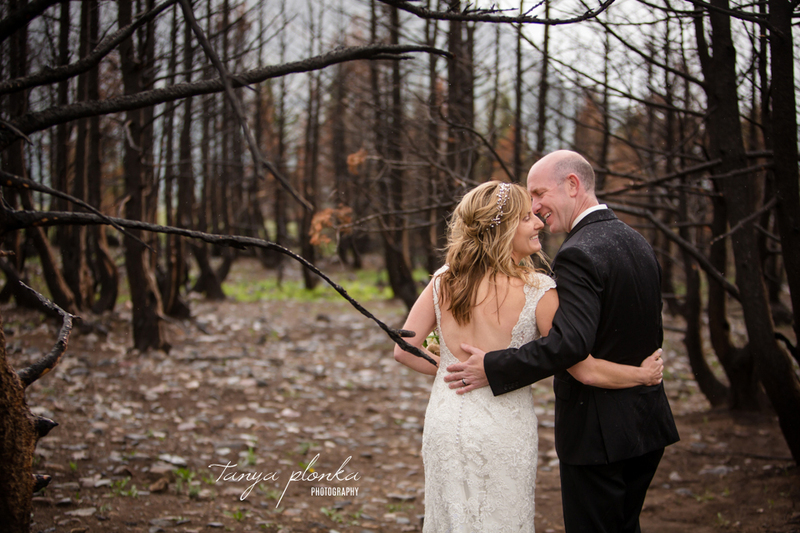 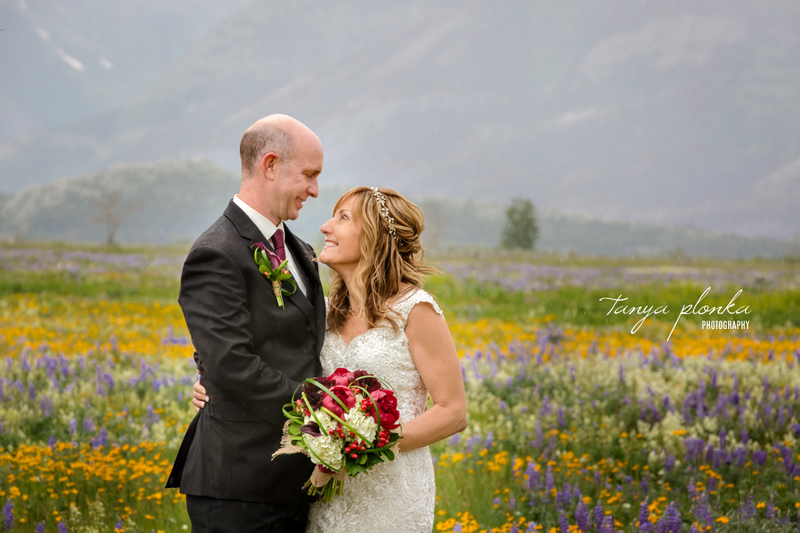 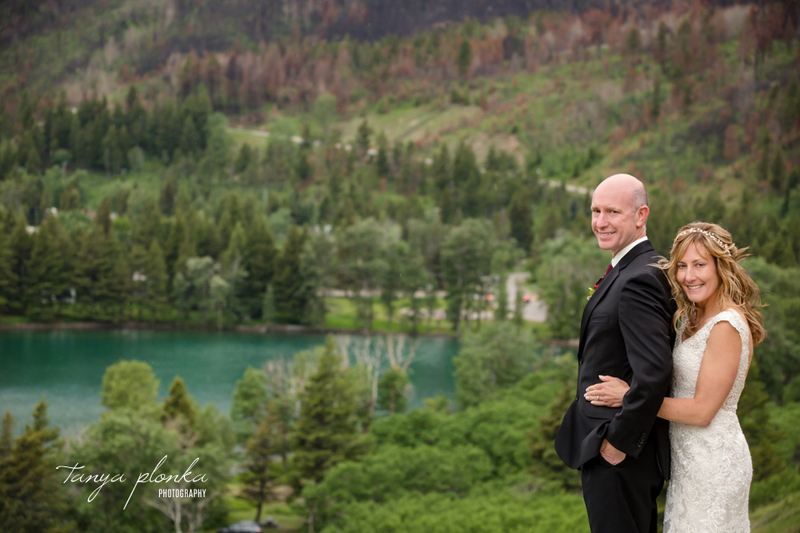 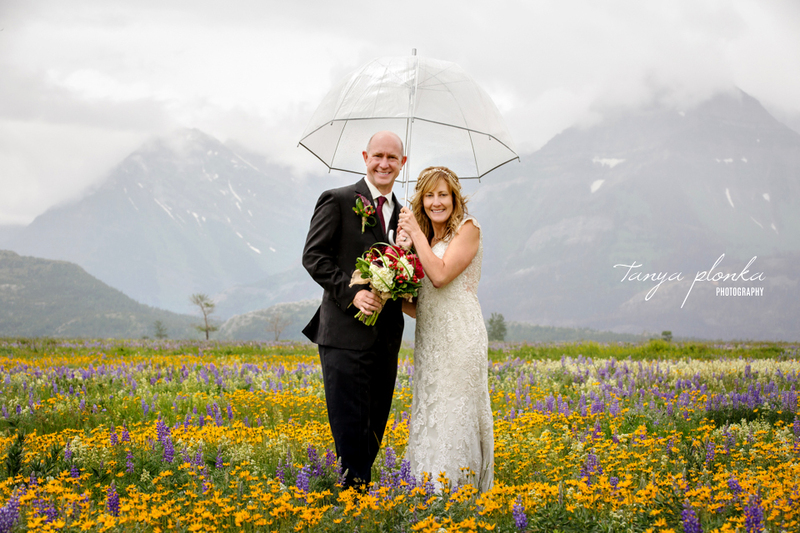 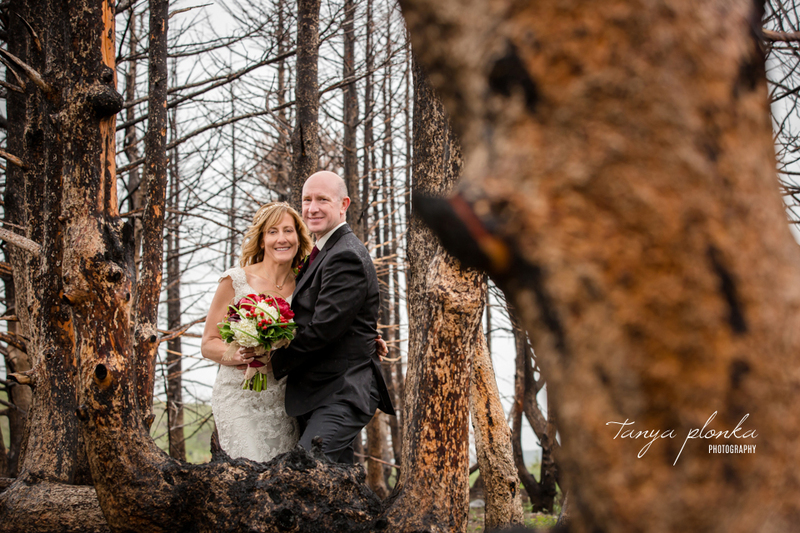 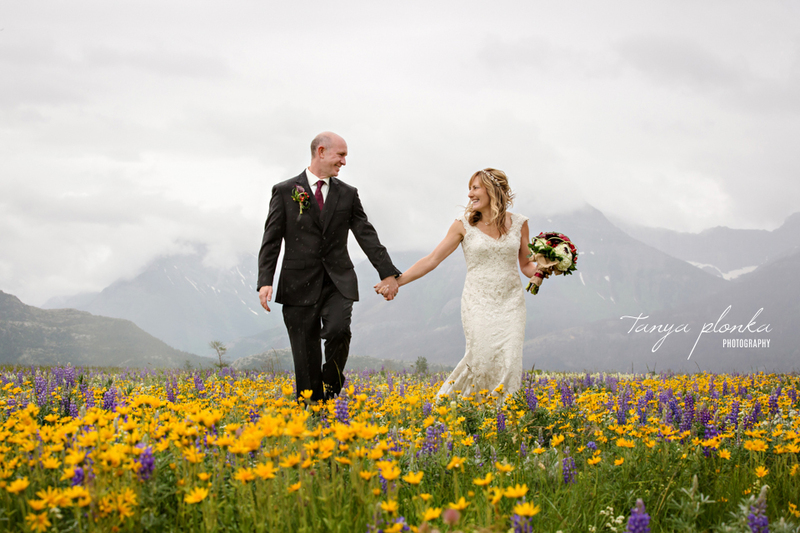 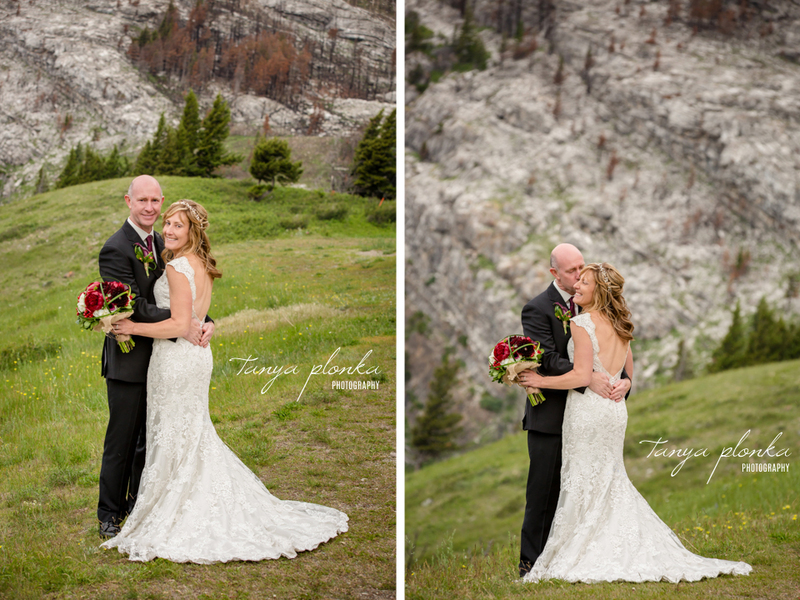 No rain could stop them from getting photos in the beautiful Waterton landscape! 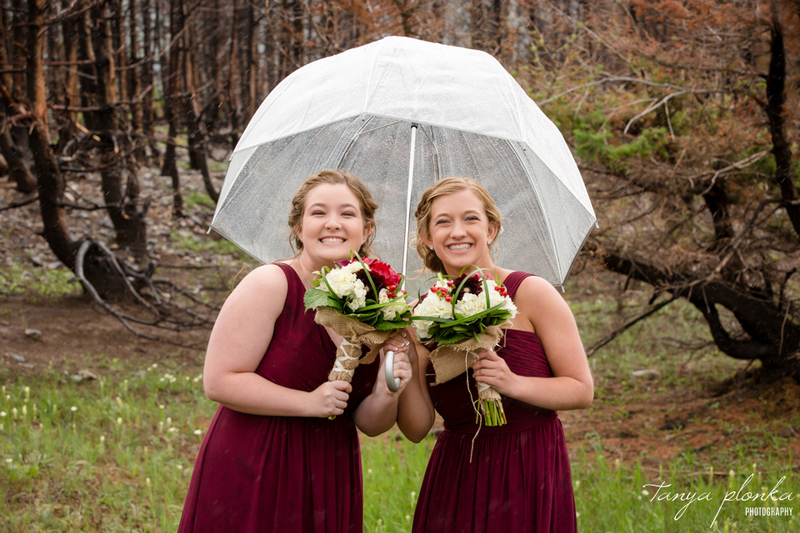 They were even willing to brave the rain without the umbrella, which was quickly handed in and out of the photos. 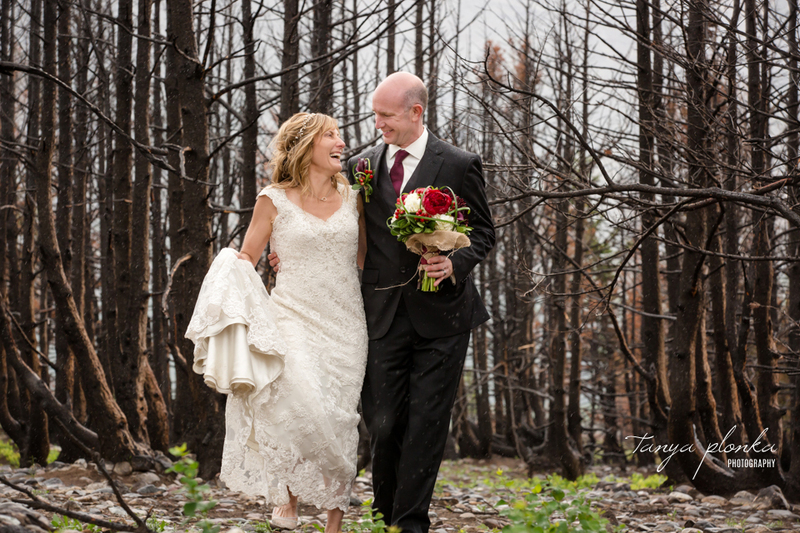 Their amazing attitudes let us visit Cameron Falls, the fields full of wild flowers, and the burned trees at the edge of town (almost all in the rain). 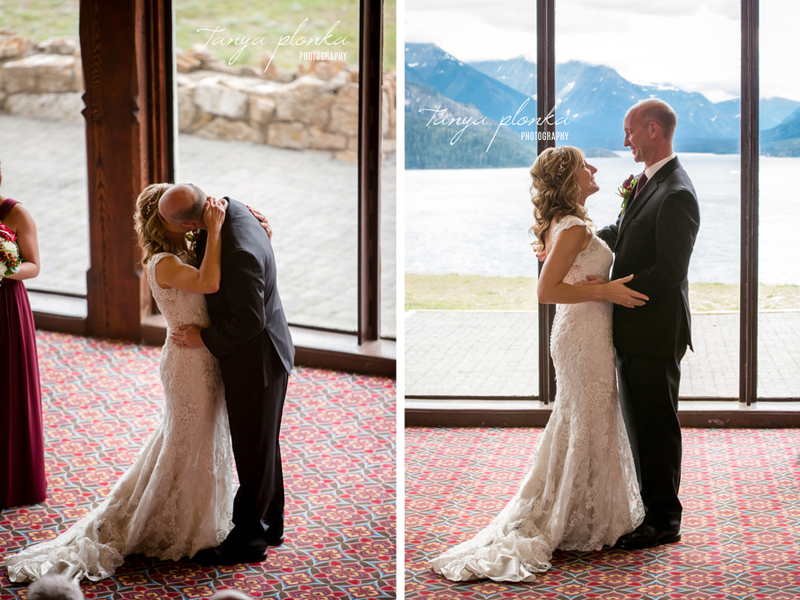 Despite the cold, they were still full of smiles at each other and lost in each other’s embrace. 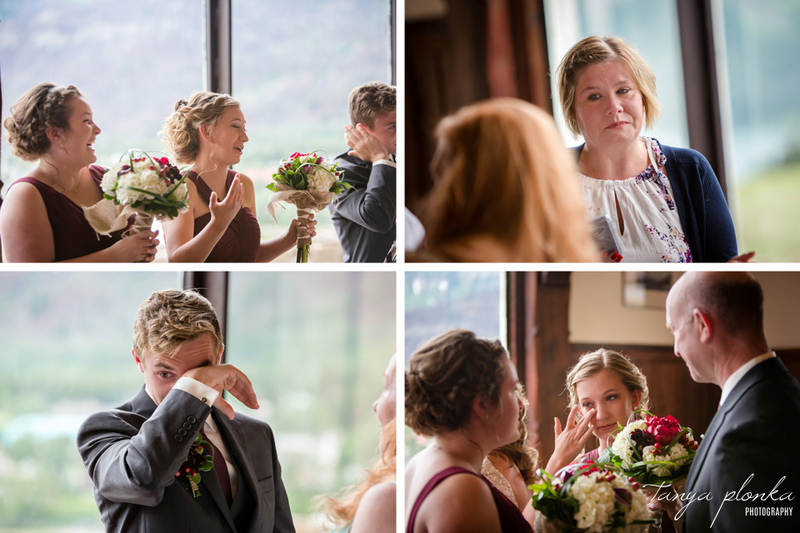 I was so moved not to just get Scott’s reaction, but Jennifer’s son’s reaction too! 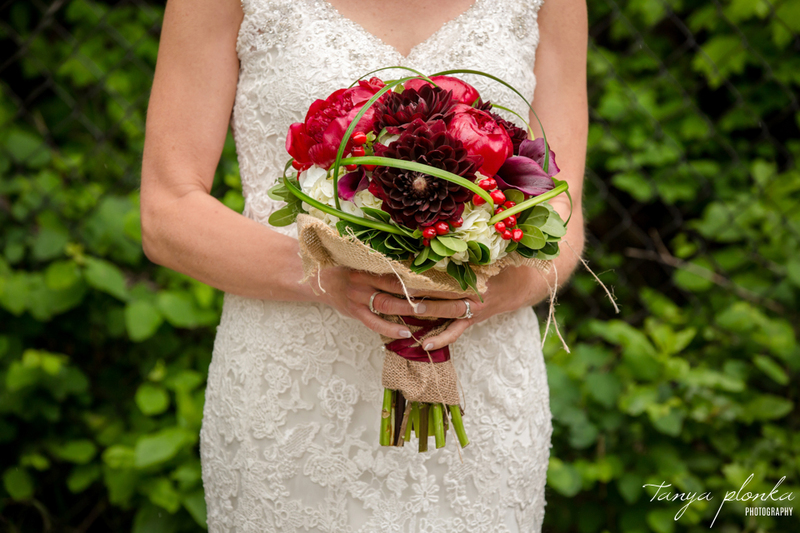 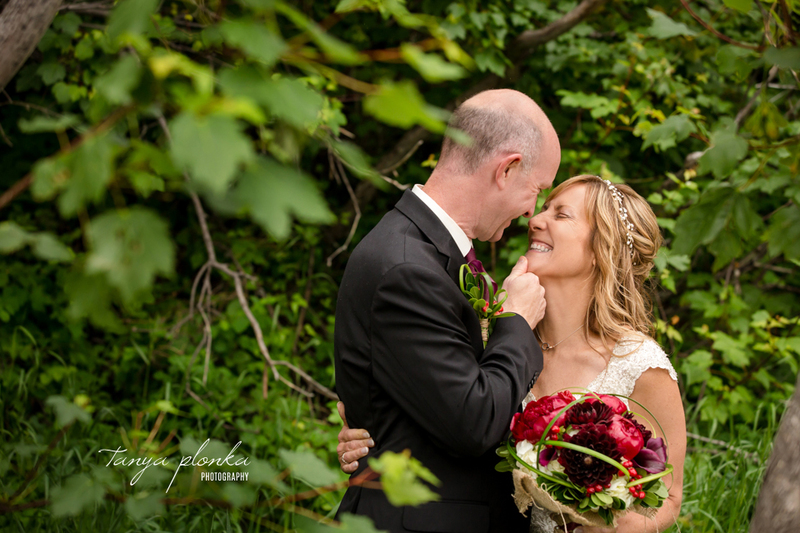 Jennifer fell in love with a bridal bouquet that she found on my blog from a past wedding, but we weren’t able to track down who the florist was from all those years ago. 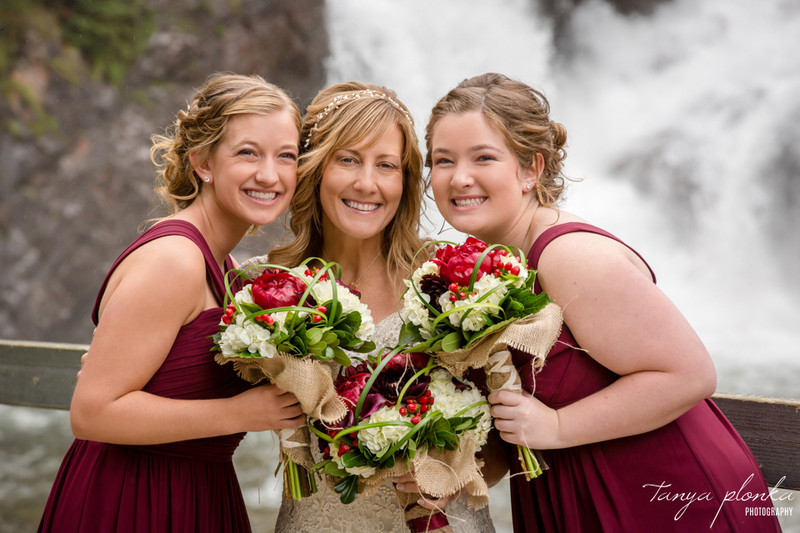 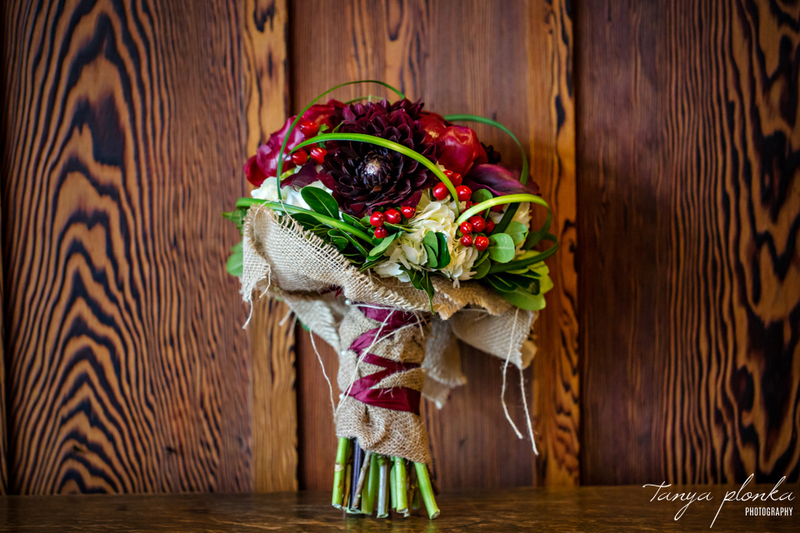 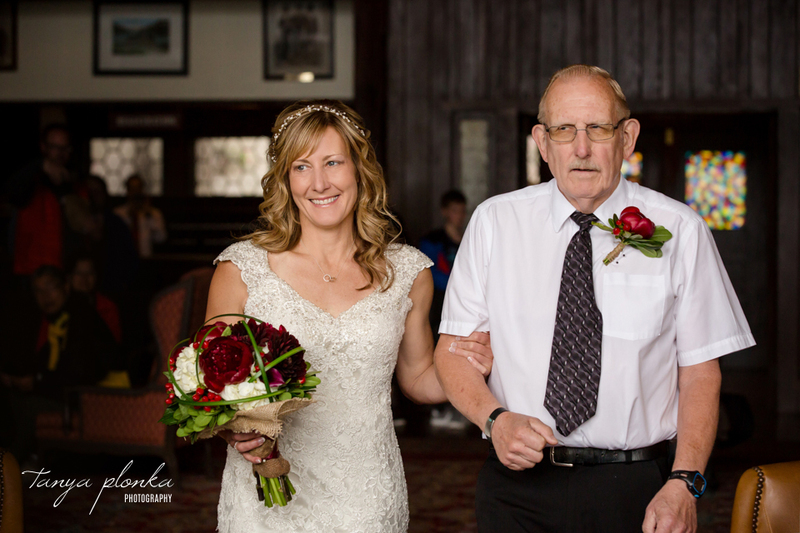 Equipped with only a photo, Funky Petals in Lethbridge did an amazing job recreating the spirit of the bouquet with a unique assortment of flowers perfect for Jennifer’s vision. 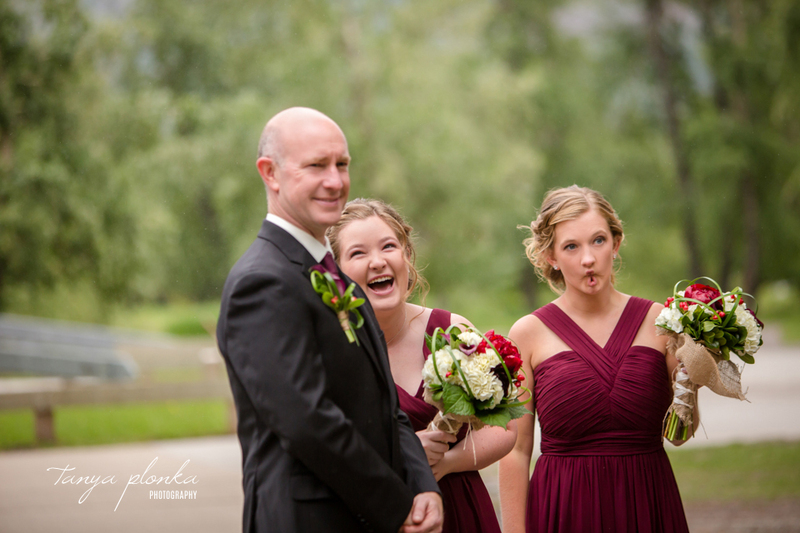 The girls knew how to get laughter out of Jennifer!